From his films to behind the scenes, these Bruce Lee photos show off the martial arts legend in all his glory. Bruce Lee holds a cherished place in film history, but his legacy is richer than simply being a kung-fu movie star. 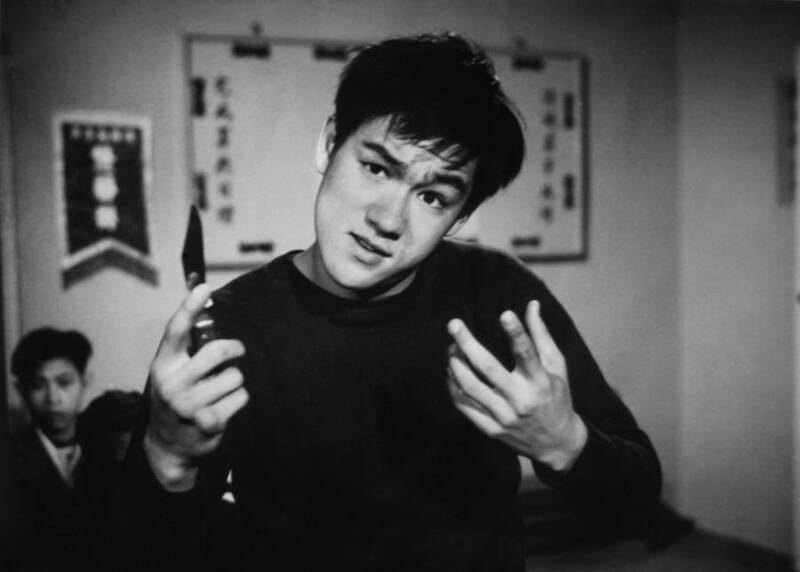 He ultimately changed the way Asians were presented in American film and culture. 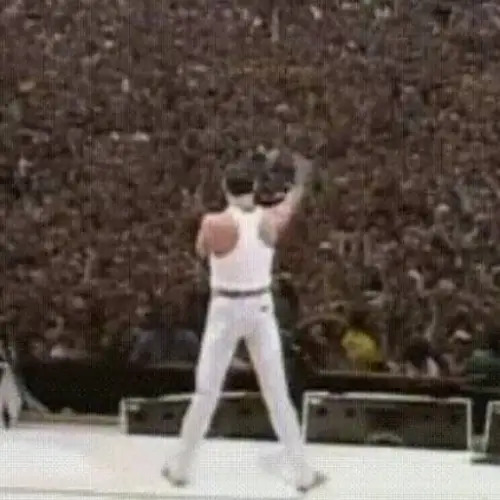 But the grounding presence in his life was martial arts. 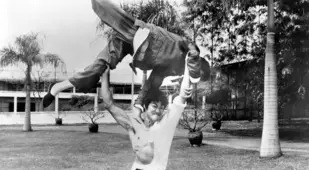 Lee started his own martial arts discipline, Jeet Kune Do, and taught the style to anyone willing to learn, including Steve McQueen and basketball star Kareem Abdul-Jabbar. 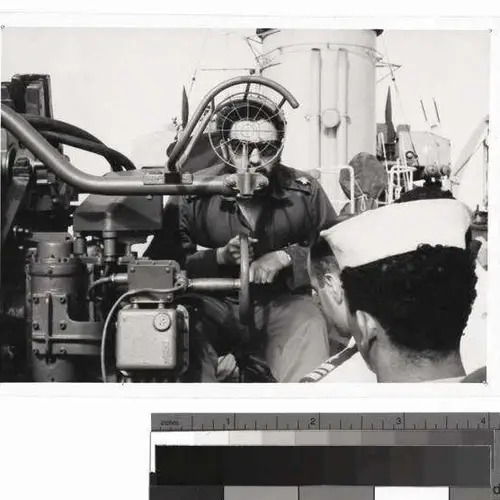 He found peace in reading, philosophy, and was committed to physical fitness. 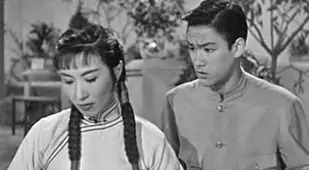 The son of a Cantonese opera star, Lee was born in 1940 while his parents were on an American tour of a Chinese opera company. His given name was Lee Jun-fan; the English nickname of Bruce came from a nurse at the Chinatown hospital where he was born. After the opera tour finished, the family moved back to Hong Kong. Here Bruce appeared in more than 20 films while growing up. Relocating back to America at age 18, Lee studied at the University of Washington in Seattle. While teaching martial arts to support himself, he married and had two children, Brandon and Shannon. It was at the Long Beach International Karate Championships where Lee was ‘discovered’ by Hollywood. His first American part was that of Kato in the TV Series The Green Hornet in 1966, which lasted only one season. After several appearances on American TV, he began to feel that opportunities were waning and moved back to Hong Kong. 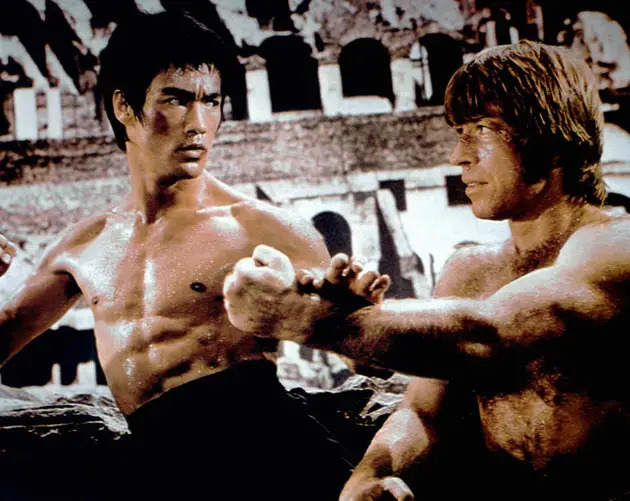 There Lee made three consecutive record-breaking martial arts films, including 1972’s Way of the Dragon, which introduced the now legendary Chuck Norris to the film world. Soon Hollywood came knocking at Lee’s door again and wanted him to star in the Warner Brothers/Golden Harvest film Enter the Dragon. The movie began it’s Hong Kong film schedule in January of 1973. 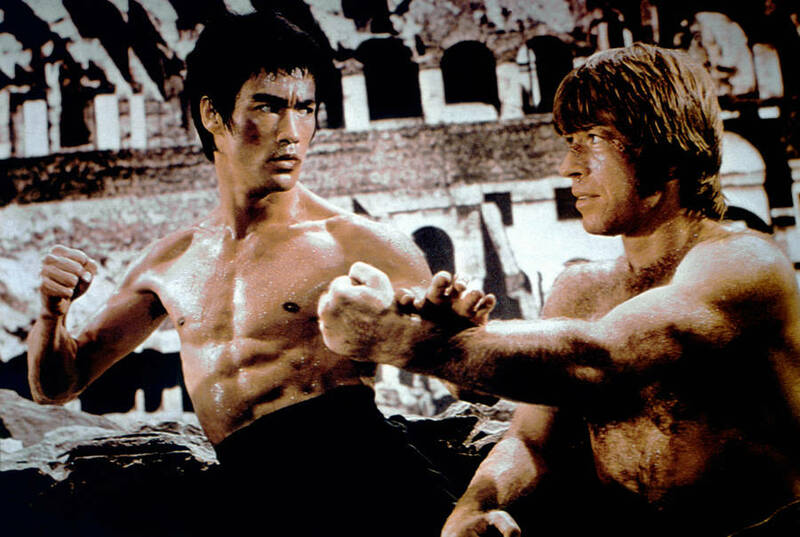 Filming wrapped, but just six days before the film’s opening, Bruce Lee died of a cerebral edema. The brain swelling was thought to be brought on by an allergic reaction to a pain medication. 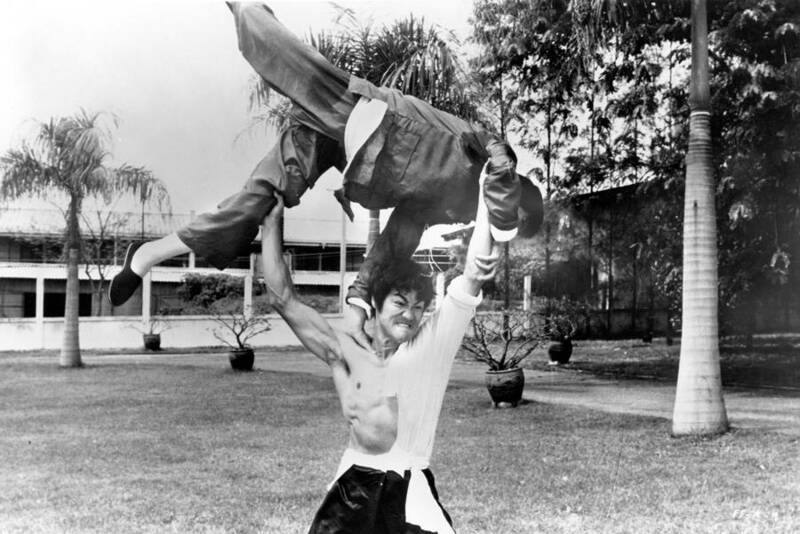 Lee’s official cause of death was ruled as “death by misadventure.” The release of Enter the Dragon catapulted Lee to international fame, of which he never got to truly enjoy. 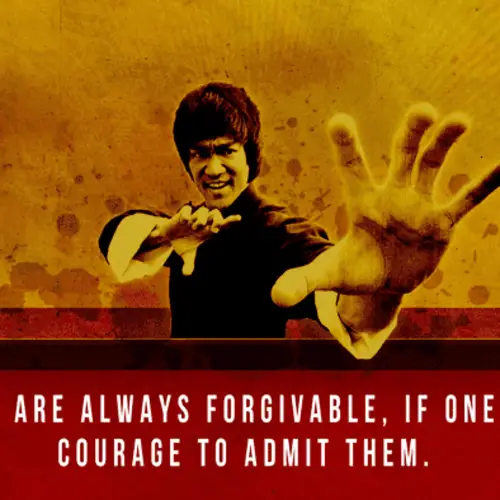 Enjoy these Bruce Lee photos? 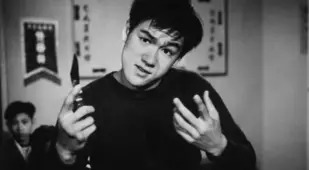 Learn more about the man with these Bruce Lee quotes and learn about Lee's hometown of Hong Kong's critical housing crisis.